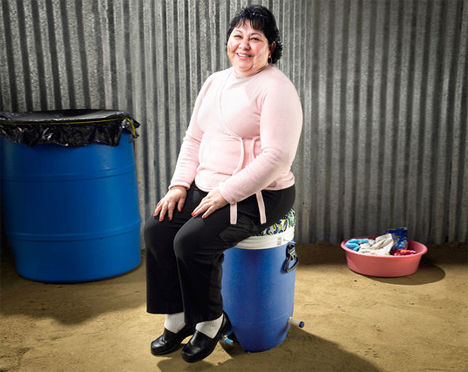 It may seem surprising to people in the western world, but hundreds of millions of people still wash their clothes the old-fashioned way: in a stream or bucket. It’s hard work that takes several hours from start to finish, but it’s the only choice in much of the world. Designers Alex Cabunoc and Ji A You created the GiraDora as a way to simplify the act of clothes washing and drying. 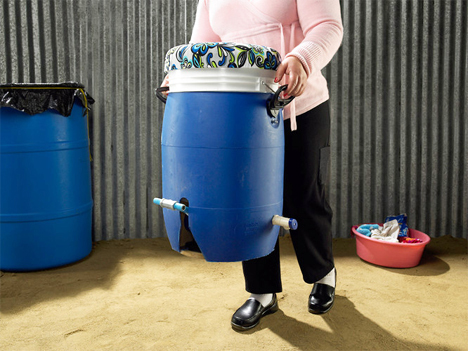 The GiraDora looks a little like a tall beverage cooler, but inside is a smaller bucket and an agitator. After loading up some laundry, soap, and water, the user sits on the lid of the GiraDora and uses a foot pedal to churn the agitator. No electricity is needed – this machine runs on pure human power. When the washing is done, the GiraDora transforms into a spin dryer. 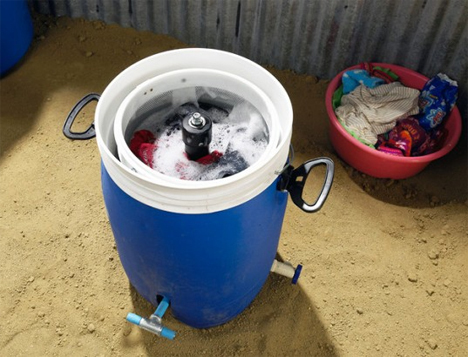 While doing laundry seems like a small thing to those of us who are able to accomplish it with machines every day, it isn’t as easy for people who don’t have access to machines or reliable electricity. The GiraDora increases efficiency and cuts down on the number of health problems related to spending hours every week doing laundry. The device was an entry in the Dell Social Innovation Challenge. At a cost of $40, the simple machine is still beyond the means of many people who need it. But as the inventors point out, is also presents an opportunity for the owners to earn extra income by doing laundry for friends and neighbors. The GiraDora team wants to test their device in several disadvantaged communities in South America, then continue testing in India. The overall goal is to get the GiraDora into the hands – and under the feet – of one million users.